Last month marked a significant step forward in our commitment to make federal funding for cancer research a national priority. Congress passed a combined Defense and Labor, Health and Human Services (LHHS) bill that includes a $2 billion increase for medical research at the National Institutes of Health (NIH) and a total of $6.1 billion for the National Cancer Institute (NCI). This critical funding increase will support progress and promising developments in cancer detection, prevention and treatment for the coming year. The bill’s passage signifies a continuation of the bipartisan support for sustained increases to federal research funding that we’ve witnessed through the last several years. In March, Congress passed the largest increase in research funding in 15 years in the Fiscal Year 2018 spending bill. This historic boost for research completed the American Cancer Society Cancer Action Network’s (ACS CAN) One Degree campaign goal of increasing cancer research funding by $1 billion. Our volunteers, advocates, staff and partners celebrated this monumental achievement while continuing to ask Congress to sustain funding increases year over year. In addition to over 100,000 signed petitions and hours of hard work by our volunteers, the launch of the One Degree campaign was supported by celebrity advocates. 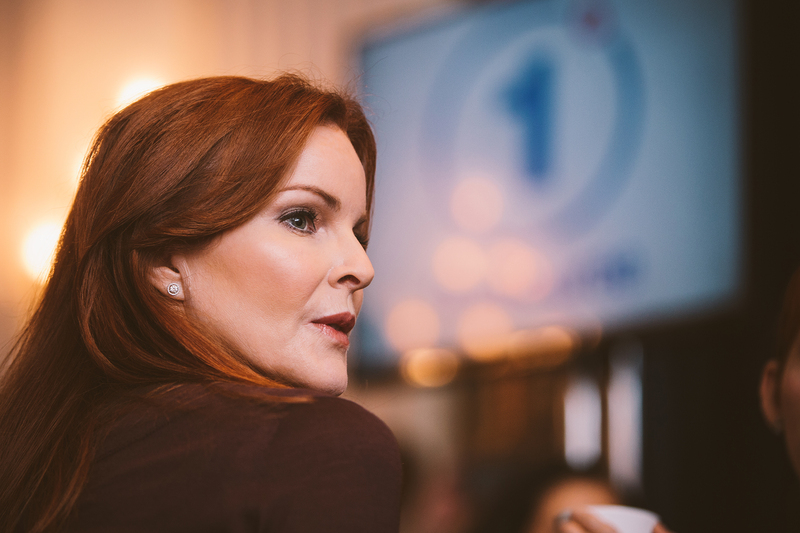 Among them was actress Marcia Cross, who spoke at the Lights of Hope ceremony as part of ACS CAN’s annual Leadership Summit and Lobby Day in 2015. We were honored to hear about her One Degree story and how cancer has impacted her life, and why she stands with us in our efforts as a champion of cancer research. We are pleased to learn this week that Marcia is cancer-free and can continue to be a tremendous ally in the fight against this disease. Marcia’s story of survivorship demonstrates the real results of past research investments and the need for continued funding increases in research for years to come. Thank you to Marcia for your partnership, to ACS CAN staff and volunteers for your tireless dedication to making cancer research funding a priority, and to our lawmakers for recognizing the importance of supporting lifesaving research. We celebrate this achievement, and look forward to the future.